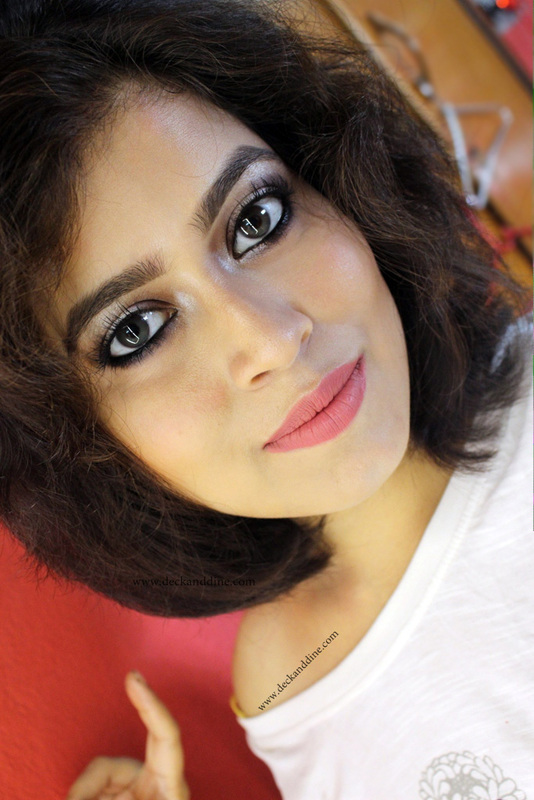 I am sure you have heard about NYX soft matte lip creams, you must have. NYX soft matte lip cream is tagged as NYX’s most fan -favorite product. And few months back NYX has launched another range of lip creams called Liquid Suede Cream Lipstick. I loved NYX lip creams and so thought of giving this range a try as well. I got my hands on NYX Lip Suede Cream Lipstick in Kitten Heals. (Read the review HERE) and I loved it to the core, more than their soft matte lip creams. Recently NYX website was holding a sale and the lucky me got another 3 from the range, that too at a whopping 60% discount. Can I be happier? Doll up your lips in plush and vibrant colour! The latest NYX Liquid Suede Cream Lipstick glides on and sets into a striking polished matte finish. This waterproof lippie is infused with avocado oil and Vitamin E.
Rs. 850 at NYX counters and shopping websites in India. I got 3 at a total amount of $6 from the NYX website. A cylindrical bottle with black cap which has a long doe-foot applicator attached inside. The doe foot applicator is of decent quality and applies the product easily and evenly. Shade:-A super sultry shade of red, almost burgundy; something very bold, beautiful and classy. The texture is very soft, very creamy and glides on lips like magic. But compared to other lip creams I have used, this one takes a little more time to settle. It takes around 4-5 minutes to settle into the gorgeous and comfortable matte finish. The matte formula is non-drying; it neither settles into fine lines nor does it accentuate dry patches. Insanely pigmented; it goes gorgeously opaque in single swipe. It stays for around 6-7 hours on me with snacks and drinks in between, but it doesn’t survive full meal. You have to watch out for that and remember that you have to reapply thereafter. A gorgeous deep red color. Avocado oil, olive oil and glycerin keeps your lips hydrated for long. It doesn't bleed even if you don't use a lip liner. A little is needed to get the desired coverage, so the product would last long. It covers pigmented lips beautifully. Available at NYX outlets and online. Some may find the long wand applicator difficult to use. Takes a little time to settle. 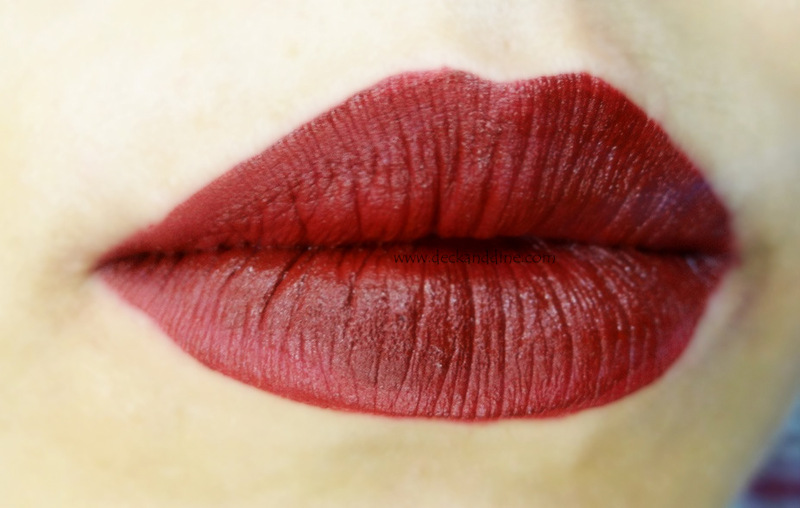 A beautiful, sultry deep red liquid lipstick with a stunning matte finish. Glides on smoothly, lightweight and sets with a soft, velvety look, absolutely love it. Looks so classy. It doesn’t dry out your lips like most of the matte liquid lipsticks. I am in love with the color and texture so much that I don’t mind reapplying it when it fades after eating. I have got 4 from the range and want to try their other shades as well. Though the Shade is perfect for falls but it looks super classy on you. It's a lovely color & suits u well.